Providing a new picture of gender equality in Victoria to inform policy and urban design changes. 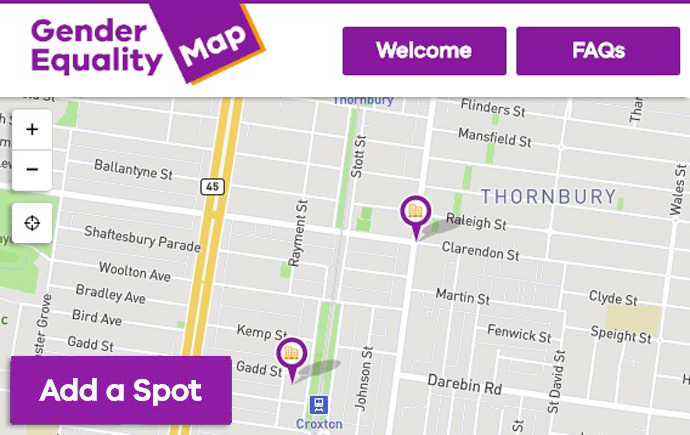 Developed by CrowdSpot and Monash University’s XYX Lab with support from the Victorian Government, genderequalitymap.vic.gov.au enables residents of Victoria to map and share their experiences of gender equality and inequality. The free map is being piloted in the local government areas of Darebin and Melton until the end of February 2019. Map users simply drop a ‘pin’ on locations where they have had positive or negative experiences of gender equality, for example, access to change rooms, sexist advertising or pram accessibility. The Map will help uncover real experiences of gender inequality in public places, from local sports facilities to public transport, community services and infrastructure to simply walking down the street. The results will be analysed by XYX Lab and CrowdSpot to help planners and communities better understand where inequality occurs. 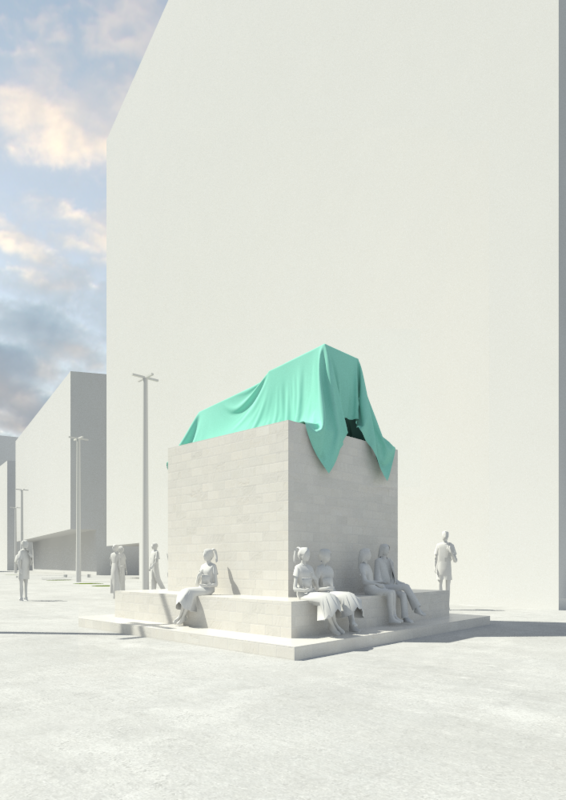 Doing so will help create more inclusive, respectful spaces for all. Associate Professor Kalms explains, “In isolation, individual experiences of gender inequality, like a lack of female change facilities at sports grounds, may not seem significant. However, when we view them collectively, we see the very real impact inequity has on daily life for women, men, trans and gender-diverse people.